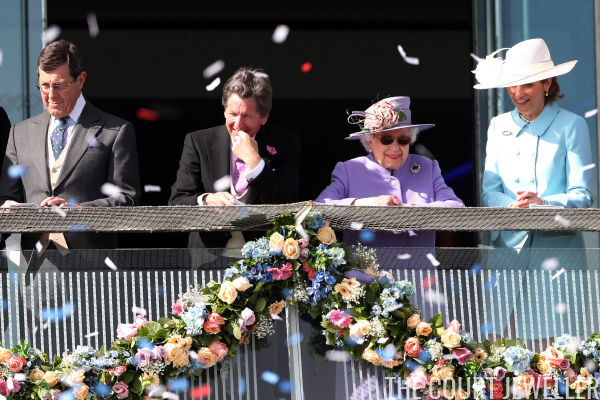 Queen Elizabeth II was off to the races on Saturday, attending the Epsom Derby in Surrey. 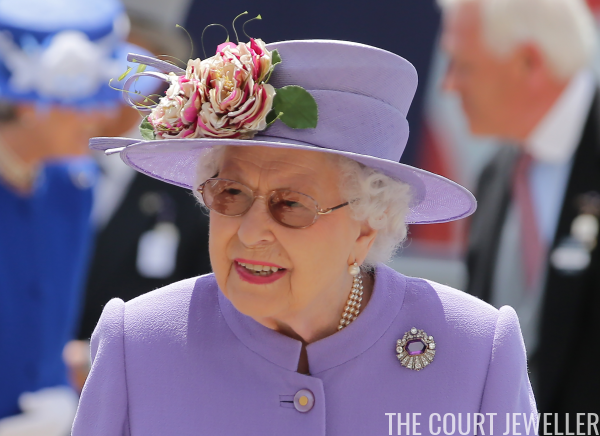 For the occasion, she wore one of the oldest brooches in her collection: the Kent Amethyst Brooch. 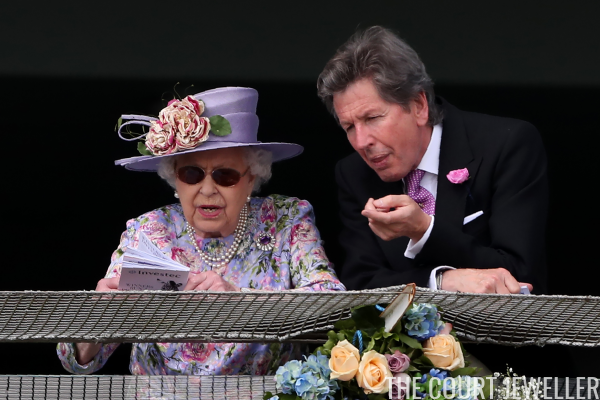 While watching the races in her box, the Queen (pictured with her racing manager, John Warren) moved the brooch from her coat to her floral dress. 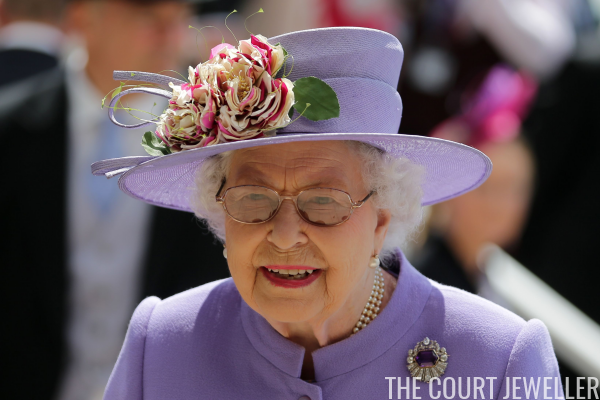 The event was yet another recent occasion that saw the Queen wearing sunglasses. These photos show that they aren't a separate pair of glasses -- they're lenses that transition from clear to dark with changing light. The Queen has begun wearing these lenses more often recently, probably to provide her eyes with extra comfort in brighter light.